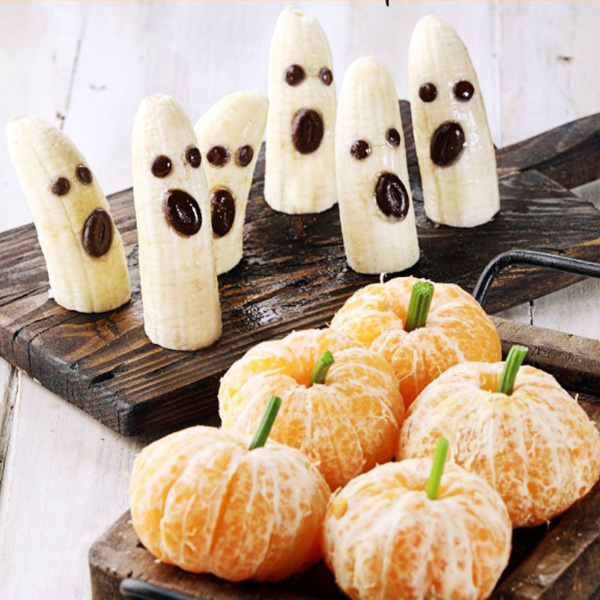 Fit Fluential Mom: 13 Super Cute and Healthy Halloween Snacks! Candy corn, chocolate bars, caramel apples and so many other sugary treats are front-and-center at Halloween, even before the trick-or-treating begins! 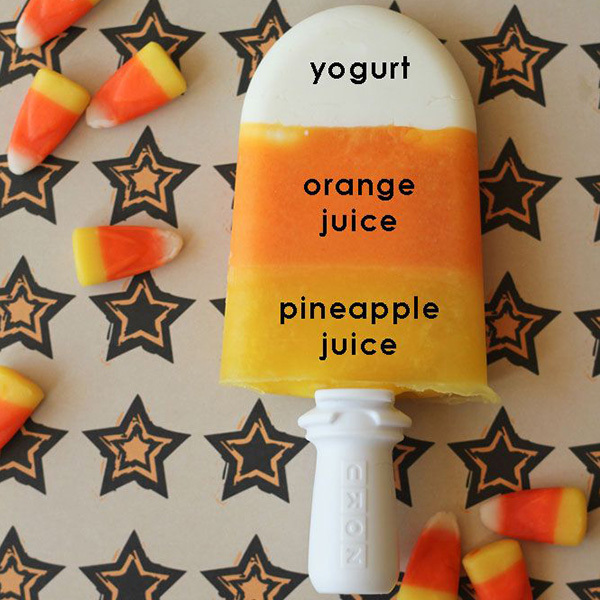 If you want to get into the holiday spirit in a healthier way, here are some easy-to-make Halloween snacks we found that kids (and grown-up kids) will love. 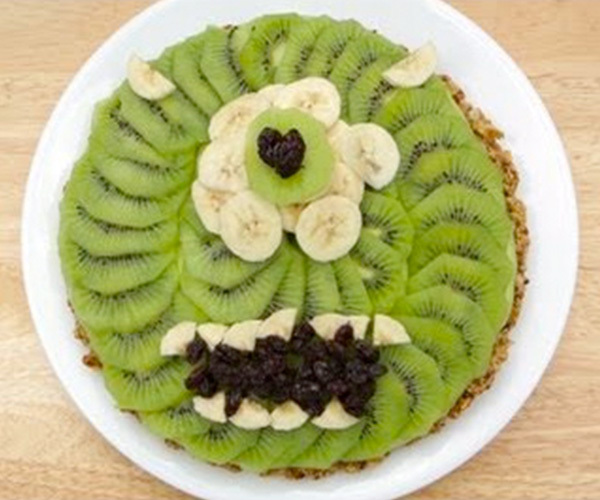 What are your favorite healthy Halloween snacks? 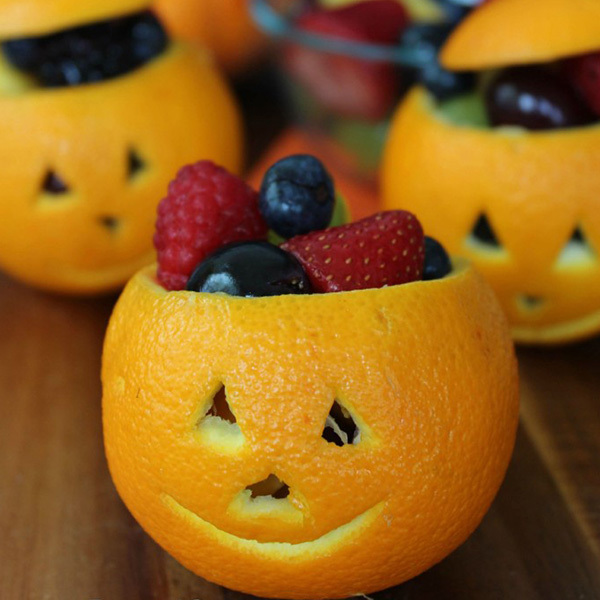 Save the pulp from your jack-o’-lantern fruit cups to make this fruit salad. 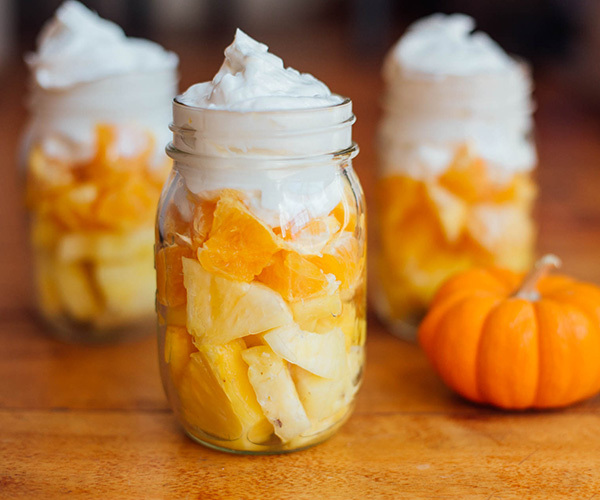 Fill small mason jars with pineapple slices, orange wedges, and top with Greek yogurt. Eek! 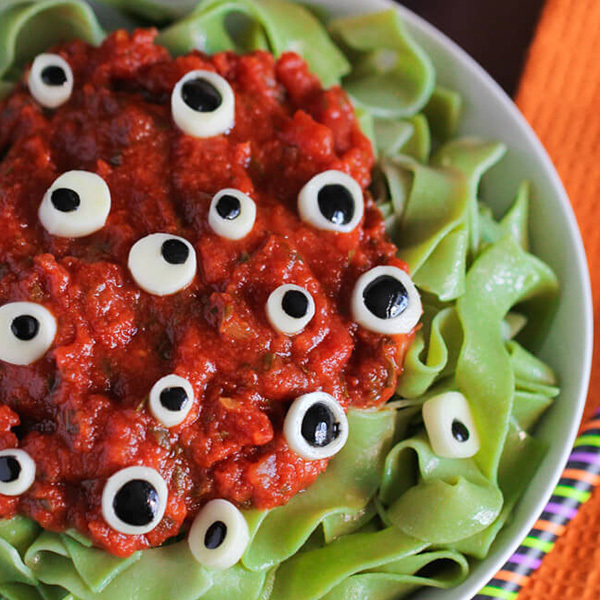 What is lurking in your hummus? 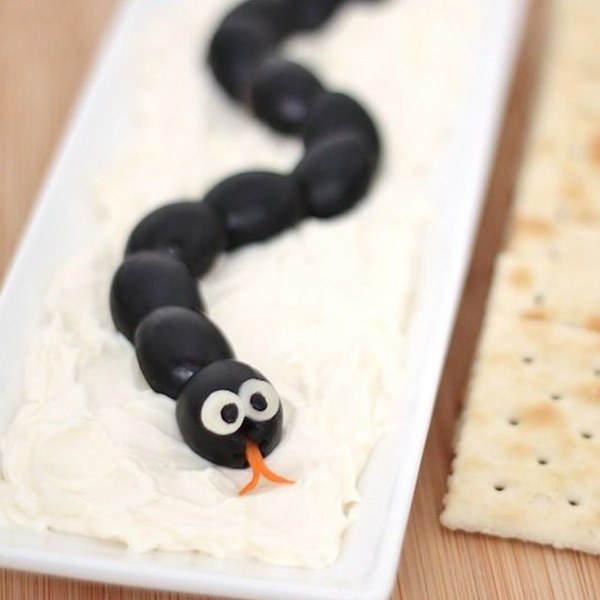 A slithering snake made from black olives! Cute Food for Kids carved beady eyes from string cheese and added a carrot tongue. Even those who hate serpents will love this little guy. 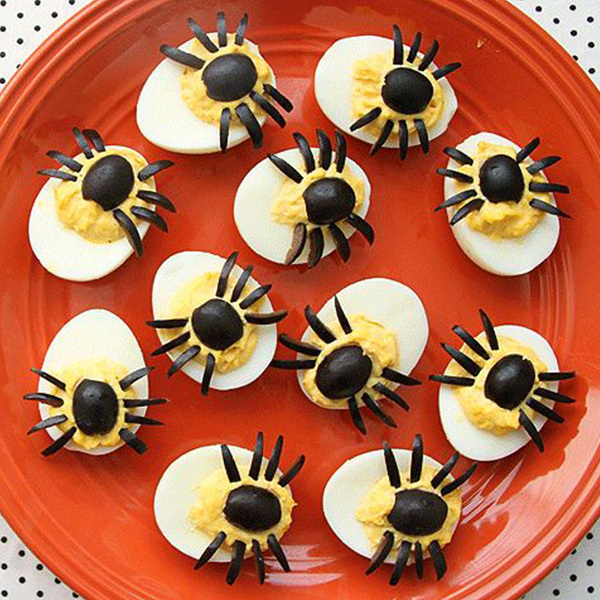 Deviled eggs get extra creepy-crawly when they’re topped with spiders. To make eight scary spider eggs, cut 12 black olives in half vertically. Place one half in the center of each egg to form the body, then slice each remaining olive half into four sections to create legs. Shiver. Let your kids in on the decorating fun! 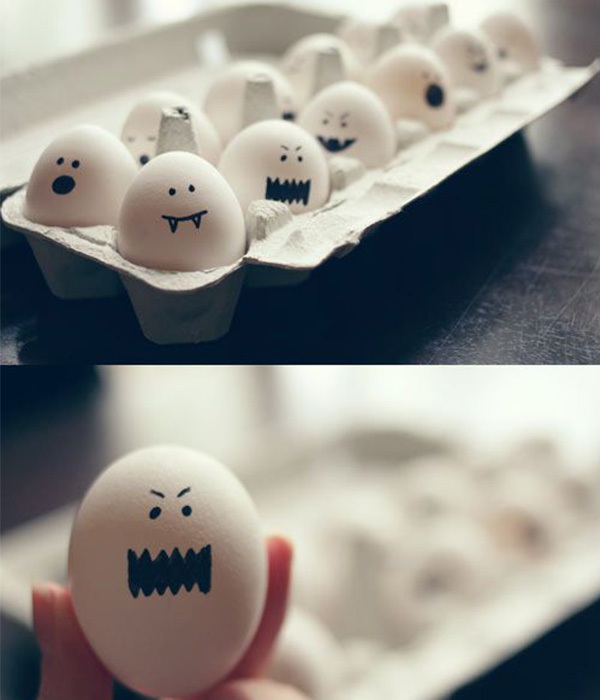 Use black foodsafe ink pens to draw ghostly faces on white hard-boiled eggs. This example from Wit & Whistle shows how simple – and cute! – each drawing can be. Is this a trick or a treat? 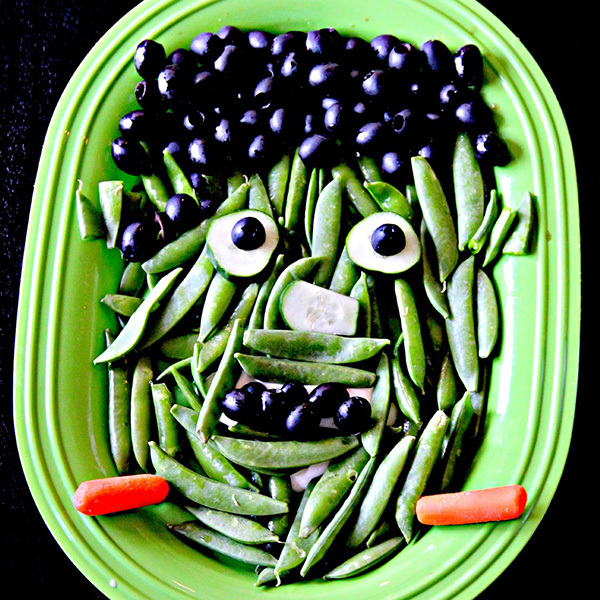 This veggie tray made to look like Frankenstein’s monster is a little bit of both. Let your kids play with their food to help create this healthy platter and they might just be tricked into eating their veggies. 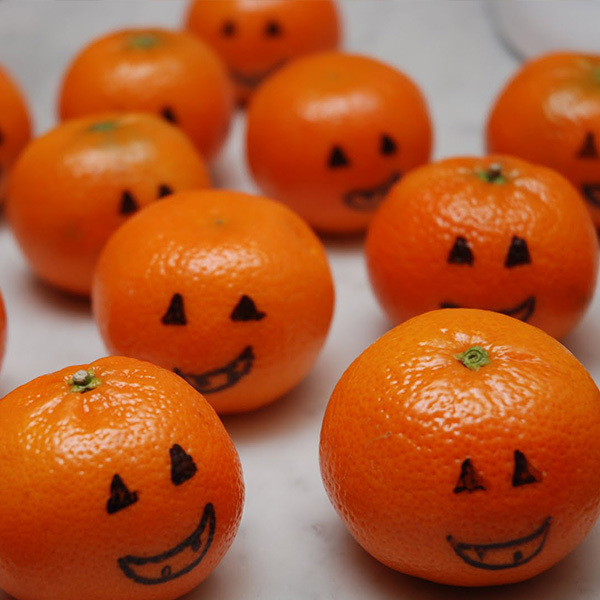 Pick up a foodsafe pen and the whole family can have fun decorating the skin of clementines, tangerines, or oranges with spooky or smiling faces. 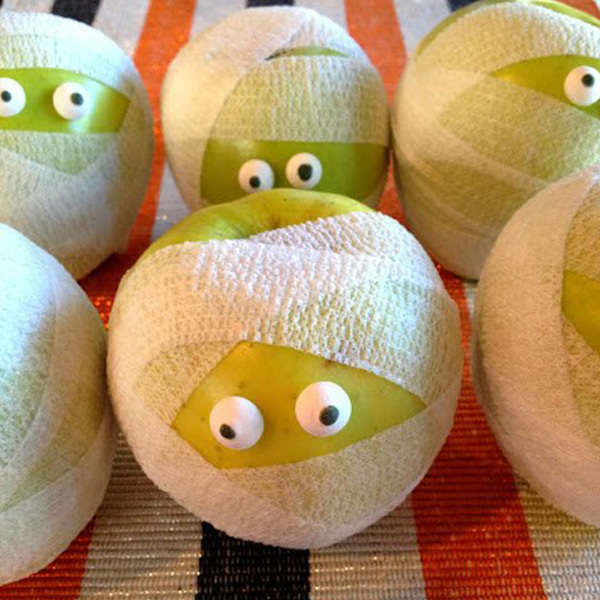 Pop these into lunch boxes the week leading up to Halloween. 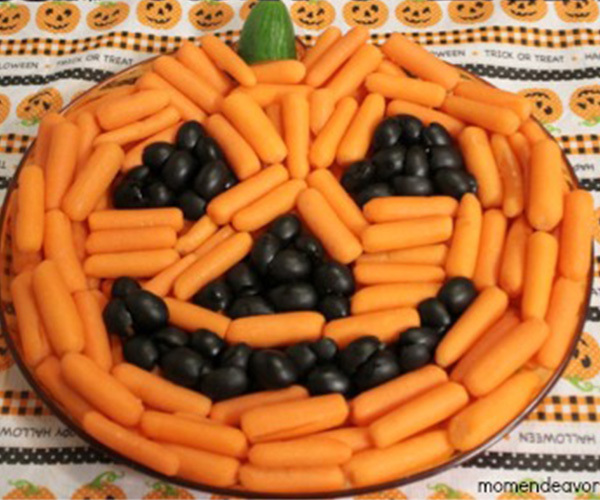 This veggie platter is a Halloween party essential! Mom Endeavors shares some tips for constructing this spooky pumpkin from baby carrots and black olives. The stem can be made from broccoli, the end of cucumber, or a celery stick. Serve with Slithering Snake Dip! Via the Team Beachbody blog with photos by Mom Endeavors, Princess and the Frog Blog, Spend with Pennies, Blue Skies Ahead, Wit & Whistle, Creative and Healthy Fun Food, Marci Combs, Chew Chew Mama, Cute Food for Kids, Frugal Coupon Living and Amanda Meixner!